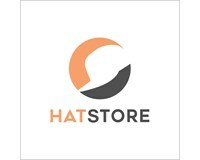 Pred caps are available at Hatstore. We have a wide range of Pred caps and their latest collection in stock for fast delivery. Pred caps consist of designs which depict various predators, chosen from a selected central group. Caps by Pred are very popular and the brand has quickly become a popular brand. Pred designs are embroidered onto Yupoong caps, ensuring that whichever Pred cap you are buying, it will be of the highest quality.